The views are fantastic. The sunrise across the river beautiful. Ricardo and Bernardo were extremely welcoming hosts. Small issues were resolved quickly. Ricardo offers an airport collection for a reasonable fee, and as a tour guide you get an extremely informative transfer. The hosts were very helpful and very friendly. Full of suggestions and hospitality. Excellent location with a stunning view on the city and the river. Riccardo was a great host too, giving us a very detailed and useful introduction. Highly recommended! Phenomenal location with stunning views ! great value for money. Friendly host. 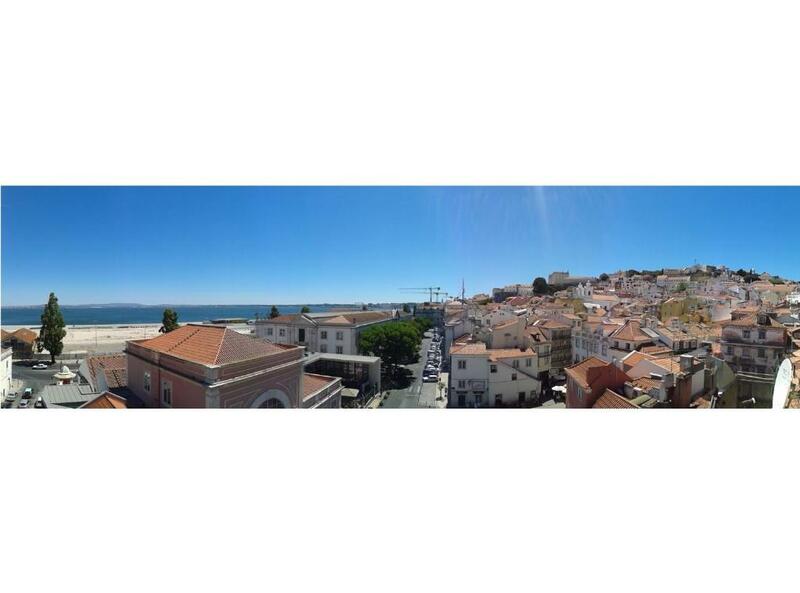 Loved absolutely everything about Alfama and the penthouse we stayed in. Beautiful surroundings and amazing hosts. The apartment was spotless and incredibly cosy. Everything was provided that we needed. Towels, tea & coffee and sparkly clean bedding. Super cosy bed too :) very much needed after a long day of walking around hilly Lisbon! I felt like home in Lisbon staying in this lovely apartment. 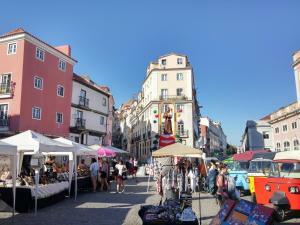 The location is great - in the heart of atmospheric district Alfama. The studio itself is cozy and comfortable. 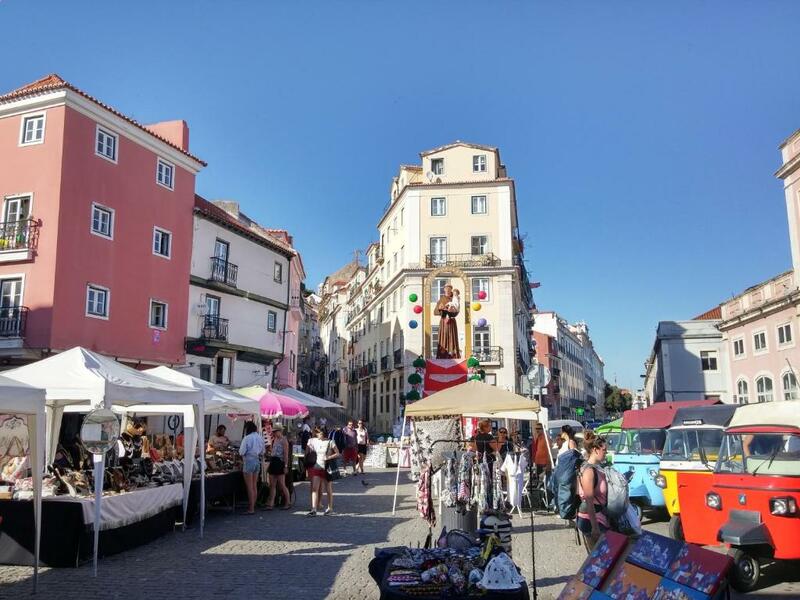 Ricardo is a perfect host, he personally met me despite my late arrival, gave me helpful tips on the must-sees in Lisbon and was eager to come to assistance at any time. 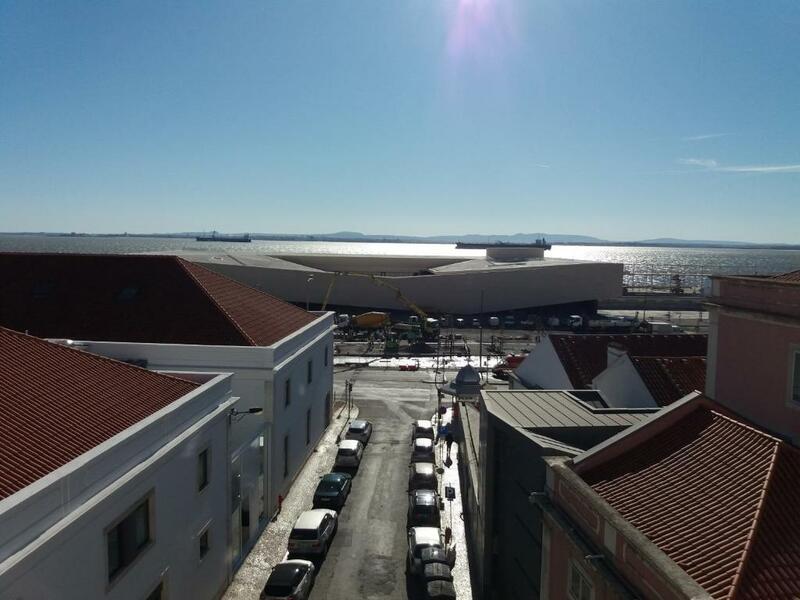 Overall, I enjoyed my stay at Alfama Tejo penthouse studio and would highly recommend it. Wonderful host, beautiful view, great location. Kitchen is fully equipped, even with coffe and tea. Bed was very comfortable. I highly recommend this accommodation. Apartment is located in a very nice and cozy neighbourhood in Alfama. 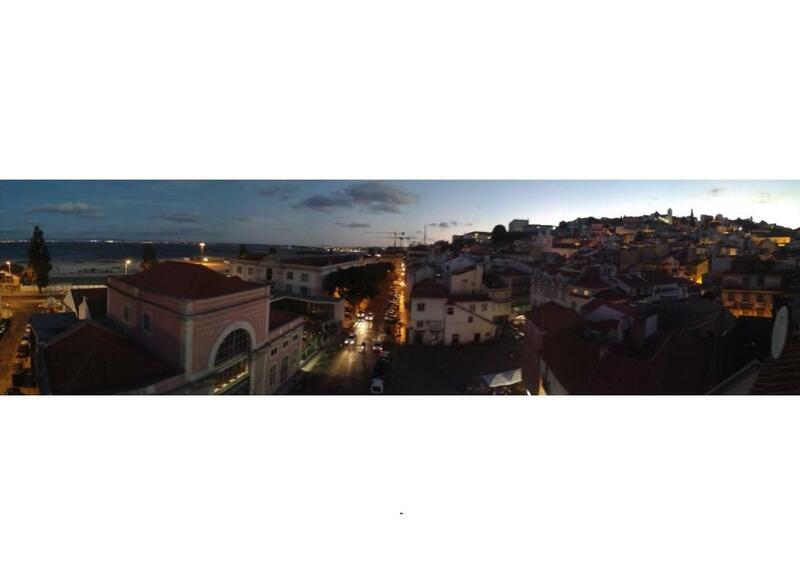 Beautiful view from the apartment over Alfama and to the river. Despite Belem (where we took UBER - a recommendation) we walked to all the sights we wanted to see. Riccardo is a wonderful host who gave us super tipps and helped us whereever he could. We will definitely come back! The owner was extremely helpful and the location was excellent. Great views from the apartment. We enjoyed our stay there and our time in Lisbon. The location is very good, and the apartment is very cozy. In the flat you will find everything you need, it's also clean. The host was very welcoming, he explained in details how to get to the flat. 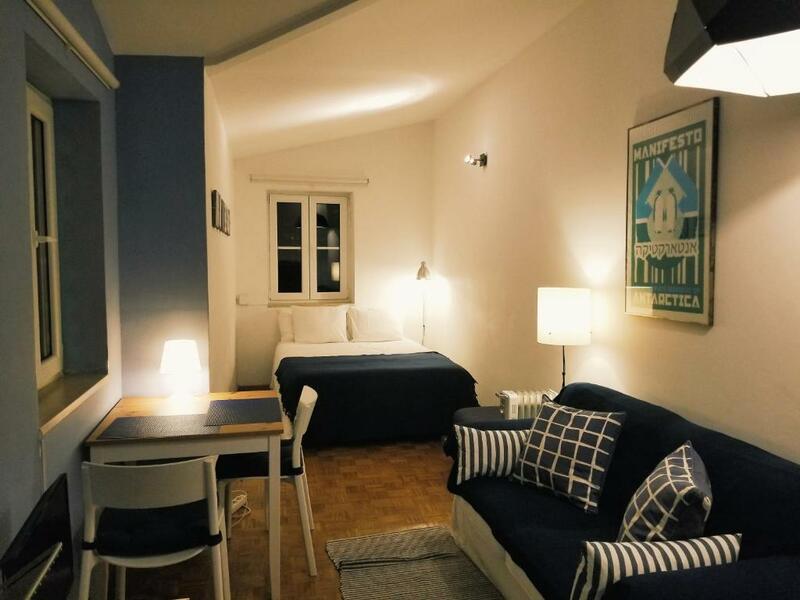 Lock in a great price for Alfama Tejo penthouse studio – rated 9.5 by recent guests! 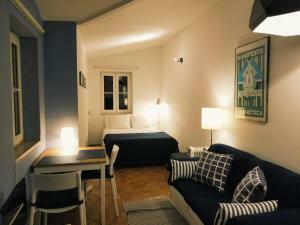 Alfama Tejo penthouse studio offers pet-friendly accommodations in Lisbon. It is located on the 5th floor, with no elevator access, featuring sweeping views over the surroundings. An oven and a microwave can be found in the kitchenette. Towels and bed linen are featured in this apartment. Free WiFi is provided throughout the property. The unit is 15 mi from Sintra. 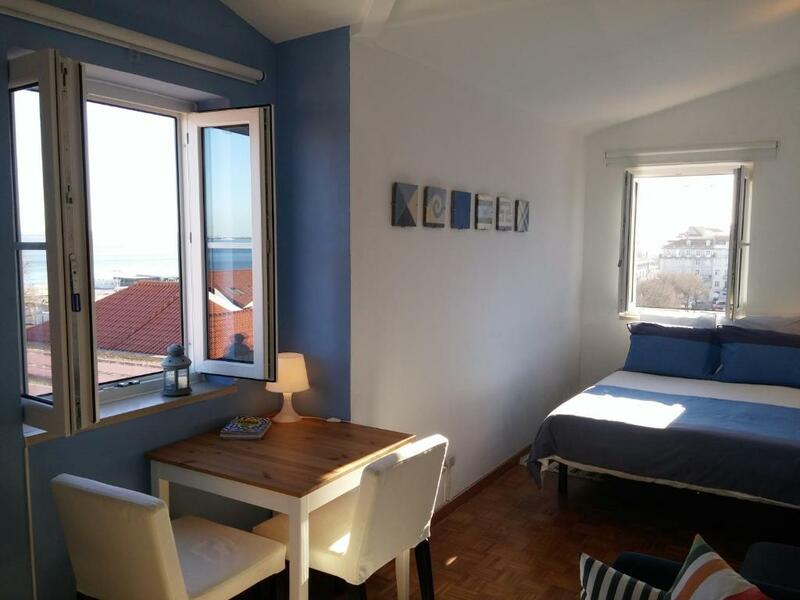 Cascais is 16 mi from Alfama Tejo penthouse studio, while Troia is 19 mi from the property. The nearest airport is Portela Airport, 3.7 mi from the property. 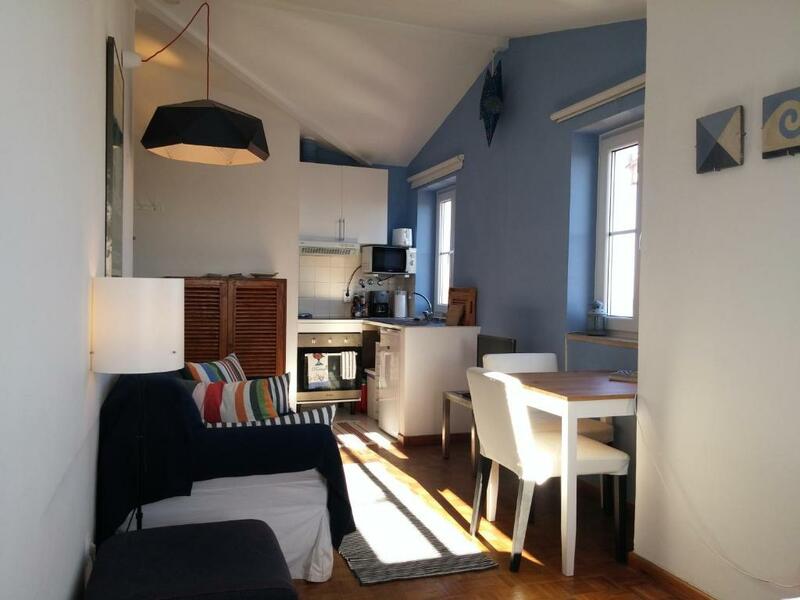 뀐 Located in the real heart of Lisbon, this property has an excellent location score of 9.9! When would you like to stay at Alfama Tejo penthouse studio? This apartment features Tagus River and Lisbon views. The studio comes with a seating area, a full kitchenette, private bathroom and free WiFi. 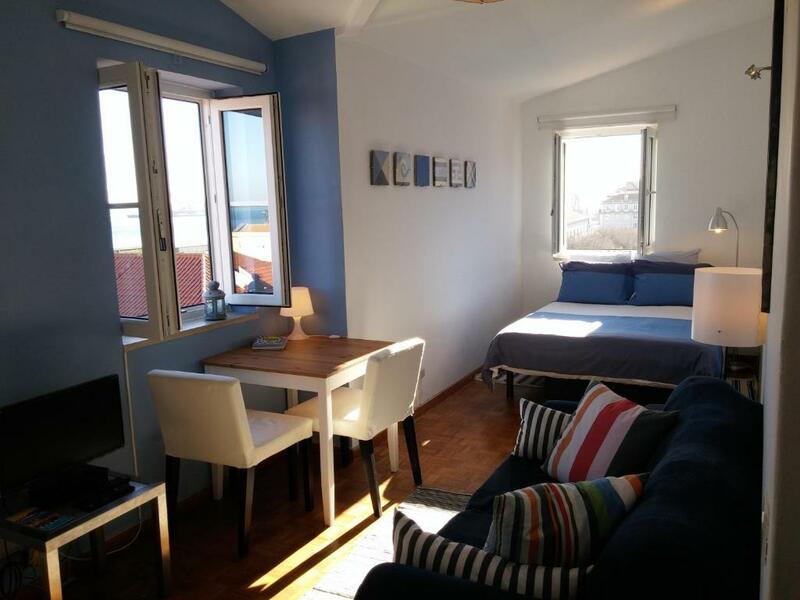 First line river view top floor studio apartment, with awesome views from the Tejo river to the top of Alfama's hill. Cosy and well equipped, it's perfect for couples or business trips. As mostly everywhere in old town Lisbon, know that the apartment doesn’t have an elevator, but don’t worry as we’re there to help you up with your luggage and going up (its 5 floors) is always worthwhile for its views and the relaxing complement they will provide you. Just outside you can find taxis, buses and parking areas. Underground and train station are 5 minutes walking distance. Private airport transfer and tours can be provided. Supermarkets, banks w/ ATM machines, restaurants, bars, Lux (nightclub), pharmacy, all within walking distance. APARTMENT LIVING: - You'll be staying in a residential building, therefore we expect you to respect the neighbours in terms of noise as you're respected back. - NO PARTIES OR NOISE WILL BE TOLERATED AFTER 10 pm. - Smoking not allowed. - You'll find our apartment deeply cleaned and we trust you to leave it in the best possible way. - If bringing pets (1 max.) please inform us. An extra cleaning fee of EUR 26 is applicable (due at check-in). Our apartment is located in the most plain part of Alfama (the river side), in the rare case where the neighbourhood has car access. Alfama is the oldest neighborhood of Lisbon, located in the castle hill towards the river, right where the city has begun. It's charm is due to the small white houses and their rooftops, the little narrow streets that seem endless and labyrinth, the clothes hanging out to dry, the here and there smell of grilled sardines, the decorated colourful streets, the friendly old people resting in street benches and the sound of Fado music whispering in every corner. Area Info – This neighborhood is a great choice for travelers interested in ambiance, walking and old-town exploration – Check location Excellent location – show map Guests loved walking around the neighborhood! House Rules Alfama Tejo penthouse studio takes special requests – add in the next step! A EUR170 damage deposit is required on arrival (around USD192.14). This deposit will be fully refunded at check-out, as long as there isn't any damage to the property. Alfama Tejo penthouse studio accepts these cards and reserves the right to temporarily hold an amount prior to arrival. Please note that the apartment is located on the 5th floor without elevator access, therefore this property is not suitable for disabled guests. Please note that a pet a surcharge of EUR 26 per guest. A damage deposit of EUR 170 is required on arrival. That's about 192.14USD. This will be collected as a cash payment. You should be reimbursed on check-out. Your deposit will be refunded in full, in cash, subject to an inspection of the property. Not one negative thing to say. Great location, lots of bars and restaurants around, helpful host, beautiful view. Will definitely come back. It is mentionned in the description but in case people don't read it, it is located on the 5th FLOOR WITH NO ELEVATOR. Foul smells from the plumbing. Just be aware the apartment is on 5th floor without elevator. It was a little difficult making it up all those stairs every day, but I certainly got exercise from it. The view and location where perfect. Situated on a small square with cafes and a museum in the old part of the city. Easy, pleasant walk into the city centre. From one window views over the old town and the other window over the docks where the cruise ships dock. The apartment manager was only too happy to help with absolutely anything and was a mine of information. Only €10 in a taxi from the airport or a short walk from the railway station. Couldn't of asked for a more perfect place for a weekend away. 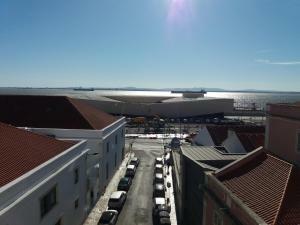 The apartment has a wonderful view on the river and on Lisbon (the good aspect of being at the 5th floor!). It is small, but it has all comforts and it is finely decorated in with blue shades, a seaside houses.